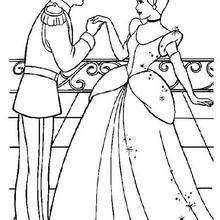 Once there was a widower who married a proud and haughty woman for his second wife. 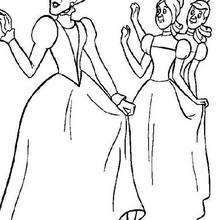 She had two daughters, who were equally vain. 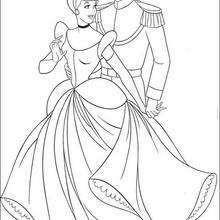 By his first wife, he had a beautiful young daughter who was a girl of unparalleled goodness and sweet temper. 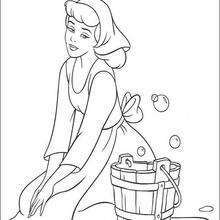 Along with her daughters, the Stepmother employed the daughter in all the housework. 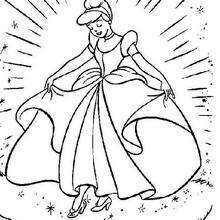 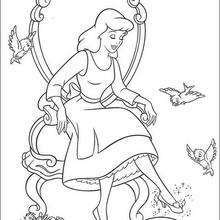 When the girl had done her work, she sat in the cinders, which caused her to be called "Cinderella". 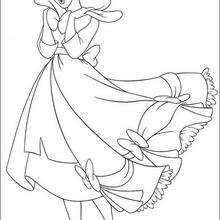 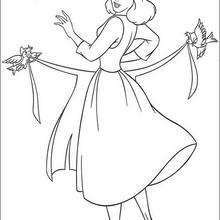 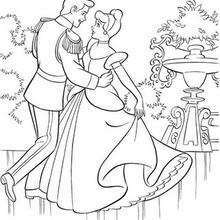 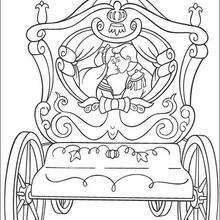 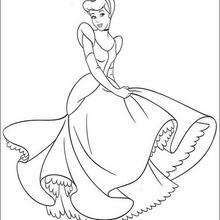 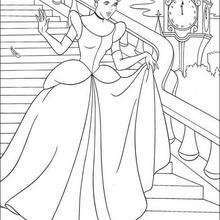 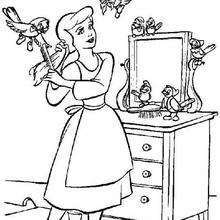 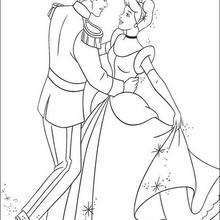 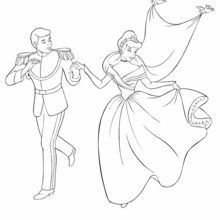 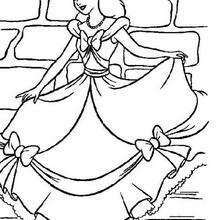 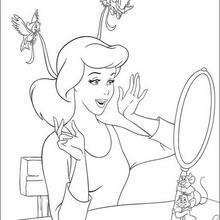 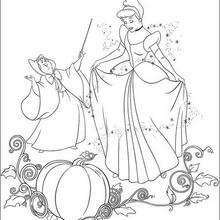 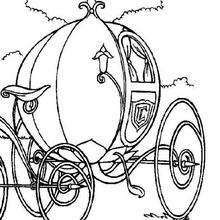 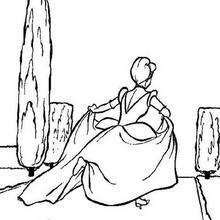 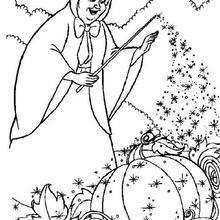 The poor girl bore it patiently, but dared not tell her father, who would have scolded her; for his wife controlled him entirely… Check out our unique collection of Cinderella coloring pages. 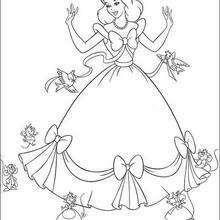 Print to color and enjoy!